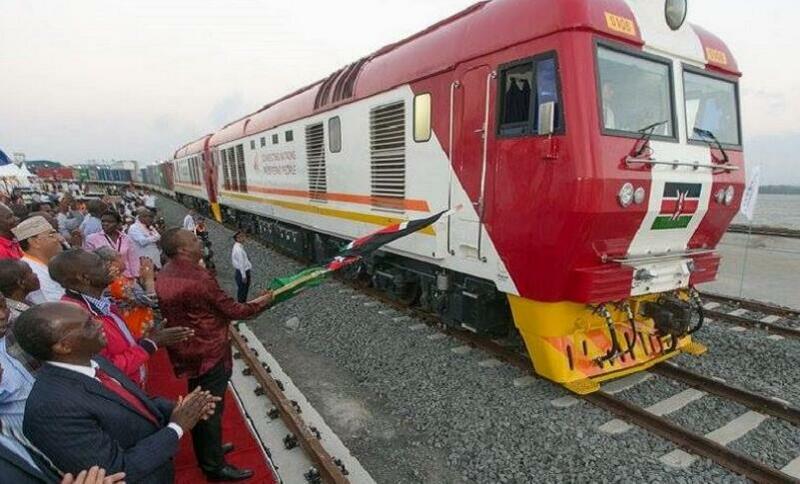 The new railway linking Nairobi to the port of Mombasa was supposed to be the crowning achievement of an infrastructure bonanza propelling President Uhuru Kenyatta to victory in Kenya’s Aug. 8 polls. Instead, more than two months after Kenyatta inaugurated it to great fanfare, the Chinese-built line is plagued with administrative problems, particularly the ticketing process that has made it impossible to buy tickets online or on the day of travel, for example. The problem, critics say, is that the $3.2 billion project was rushed to completion ahead of the elections, before proper planning for issues such as transport to the line’s terminuses on the outskirts of the two traffic-clogged cities. The government can claim some successes, notably 10,000 km of new roads built during Kenyatta’s five-year term. “We have invested heavily in infrastructure because it is the driver of economic growth and a key plank of our transformational agenda,” Kenyatta told a campaign rally in central Kenya in June. But the railway, whose price tag helped send Kenya’s debt soaring above 50 percent of economic output, is not the only project facing problems. Last month, a $12-million bridge in western Kenya, visited by Kenyatta while it was being built by a Chinese firm, collapsed before it was completed. A ferry ramp near Mombasa collapsed in April, a month after its inauguration by Kenyatta. The new Nairobi-Mombasa railway has slashed to just over four hours what was a 12-hour journey on a line built by Kenya’s British colonial rulers a century ago. But the hassle of buying a ticket has discouraged customers. In addition to the lack of online purchasing, tickets must be bought three days in advance and only one-way, meaning prospective travellers make multiple early morning trips to buy tickets at the stations. Given that Kenya’s mobile phone payment system is among the most advanced in the world, there is no excuse for the antiquated purchasing system, frustrated customers say. Peter Kialo had nearly reached the front of the queue at the Nairobi ticket office last week, an hour after it opened, when he discovered the 700-shilling ($7) economy class tickets had sold out, leaving only first class available at 1,500 shillings. A spokesman for Kenya Railways told Reuters that while the state-owned company owned the railway, China Roads and Bridges Corp, the company that built the line, has the contract to manage operations, including ticketing. Transport Minister James Wainaina Macharia said the ticketing problems were a minor part of a major achievement. He denied the railway’s opening had been rushed to be ready for elections and said the online payment system was being tested to ensure it was safe from hacking. “As for ticketing, that is an administrative issue that you’d expect to happen for any major operation,” he said. He acknowledged “middlemen” buying tickets for resale were a problem, however. A Mombasa court last month charged five people with selling tickets without permission from Kenya Railways. The middlemen seem to have inside help, customers complain. When a handful of men appeared within the locked gates at the head of the queue last week in Nairobi, just before the office opened at 7 a.m., security guards ignored customer protests. Shouts of “Who are they?” and “That’s not fair!” rose from the queue. Kenya Railways managing director Atana Maina issued a statement last week acknowledging problems and announcing the company hoped to launch an online payment system and a mobile application “in the next few weeks”.